What are my responsibilities in terms of fire prevention on my farm? Prepare firebreaks on their side of theboundary. Owners of adjoining land may agree to position a common firebreak away from the boundary. Discuss fire breaks with neighbours and plan together – it should be in the right place, cost effective and be practical to implement. Document your agreed fire breaks. Please check with your local municipality or fire brigade to confirm the rules and regulations for your area. Have the necessary equipment, protective clothing and trained personnel for extinguishing fires as are prescribed in the regulations. If a fire should break out, take all reasonable steps to alert the neighbours and notify the relevant fire brigade, fire protection officer of the local Fire Protection Association (FPA), if there is one. Do everything in your power to safely stop the fire from spreading. If the owner of the land is absent, he or she must appoint a responsible person on the land or nearby his or her land to take the needed precautions if a fire might occur, or assist to do so. Your local FPA can help land owners meet their legal requirements, provide training to land owners and their staff and guide them through fire management planning and also assist with firebreak preparation. You will be assisted to become legally compliant, as per national regulations. Members are offered training in fire fighting, fire management and fire prevention. Membership is voluntary and there is a nominal joining fee. 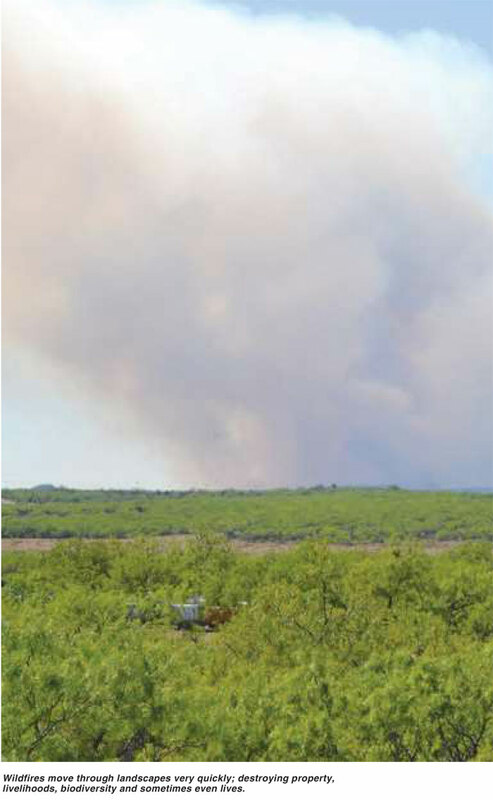 For more information on The National Veld and Forest Fire Act 101 of 1998 please visit http://www.daff.gov.za. Undertake an annual fire hazard assessment. Identify the risks/threats and what you can do to minimise them. Discuss fire insurance for yourself with your insurance broker. Article submitted by Ingrid Marti, Freelance Journalist. For more information, send an email to ingridmarti7@gmail.com.